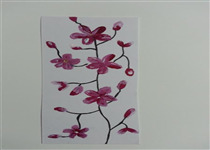 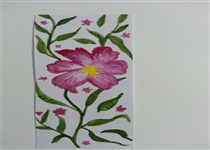 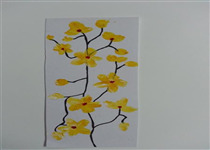 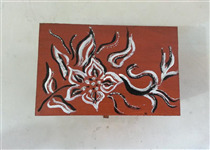 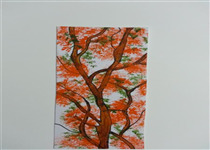 Farah art creations is a venture by mrs. Farah Ahmed to display her creativity. 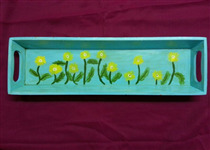 It started as a hobby and now it is a successful private home based enterprise. 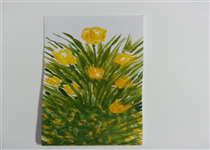 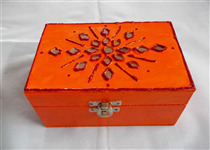 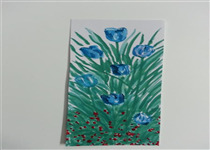 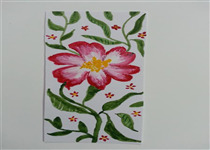 Farah art creations specialises in paintings in all mediums, murals, handpainted glassware, jute products, bangle and jewellery boxes, shagun envelopes, fabric art, key holders etc. 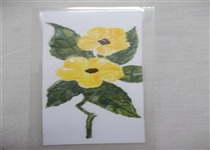 The usp of the store is exclusivity with an emphasis on neatness and high quality. 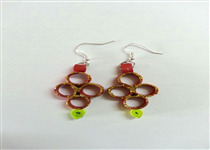 Customisation is also available. 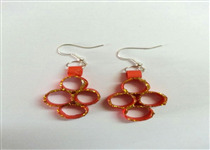 Beautifully handcrafted quilled earrings in bright and vibrant colours. 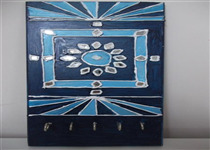 Each piece is unique with no duplicates. 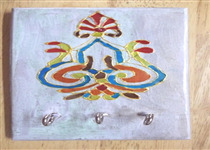 reasonable and affordable. 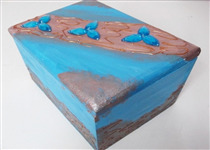 a very good option for gifting and return gifts. 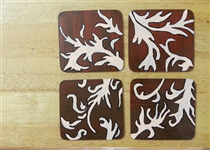 a set of four beautifully crafted wooden coasters with bright and radiant designs. 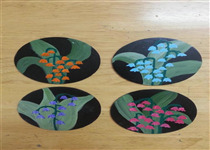 each design unique in itself.the coasters are water proof.these coasters will beautify your table not only as a utility item but also as a art piece. 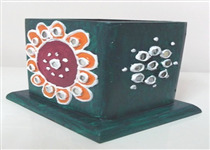 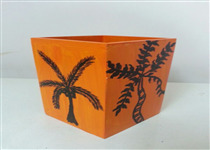 Handpainted wooden(MDF Board) bangle box to keep your beautiful and precious bangles. 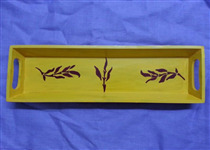 this has been exclusively painted with bright Indian colours and gives a very traditional look. 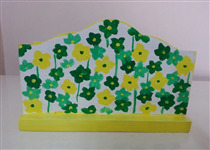 it will brighten up any dressing table. 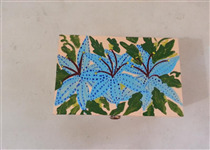 this is suitable for gifting to your special lady love.dimensions 12"x4"x4"
a beautifully hand painted wooden(MDF Board) lightweight box for your storage needs. 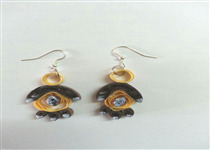 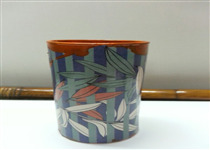 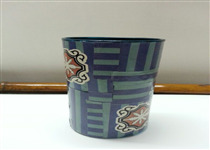 it is handcrafted with bright colours and beautiful design. 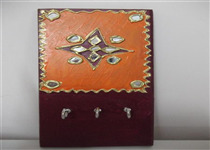 it can be used for keeping your precious jewellery or money. very apt for giving as gifts to your near and dear ones. 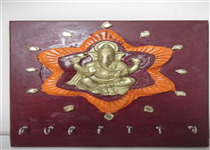 A beautiful key holder to adorn your walls and keep your keys safe.dimensions 8"x4"
a beautiful mural keyholder of the auspicious and most revered god Ganesha in bright and bold traditional Indian colours with mirror work border.This mural will beautify any wall and bring in good luck and God's blessings into your lives.dimensions 13"x11"
A beautiful lippam work mirror studded key holder with bright Indian colours. 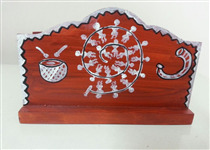 This will not only beautify your walls but also be of use as a place where all your keys will be secure.dimensions 12"x6"
a beautiful hand crafted letter/napkin holder to adorn your tables. 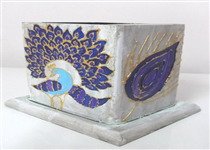 painted in bright and vibrant colours this holder will take centre stage on your table.dimensions 6"x3"x4.5"
Cane penstand with beautiful crystal decorations. 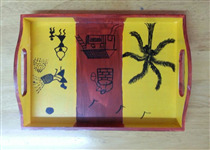 this will adorn your study tables.dimensions 3.5"x3.5"x4"
beautiful hand crafted tray for your daily needs. 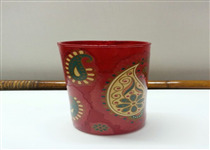 it is beautifully handpainted with bright indian colours and motifs. 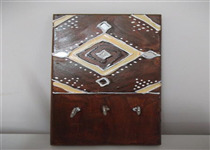 it will be a very vibrant part of your party and hosting experience.dimensions 15.5"x5"x1.5"
beautiful hand crafted tray for your daily needs. 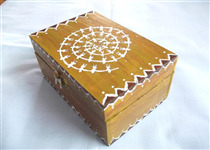 it is beautifully handpainted with bright indian colours and motifs. 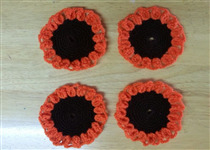 it will be a very vibrant part of your party and hosting experiencedimensions 10.5"x8"x2"
a set of four hand crocheted woollen coasters in bright beautiful colours to adorn your tables. 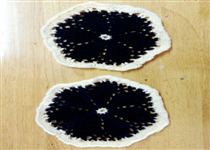 woolen and hand washable they add an elegance to your table decor needs. 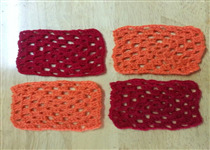 a set of four hand crocheted coasters in bright beautiful colours to adorn your tables. 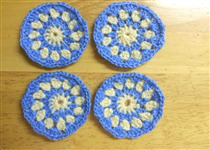 woolen and hand washable they add an elegance to your table decor needs.diameter 3.5"
a set of two hand crocheted coasters/doilies in bright beautiful colours to adorn your tables. 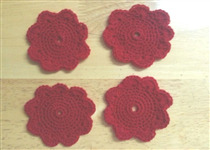 woolen and hand washable they add an elegance to your table decor needs.diameter 7"
a set of two hand crocheted coasters/doilies in bright beautiful colours to adorn your tables. 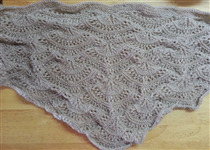 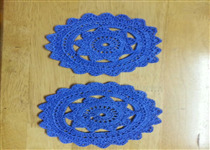 cotton and hand washable they add an elegance to your table decor needs. 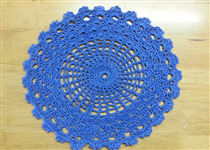 a hand crocheted coaster/doily in bright beautiful colours to adorn your tables. 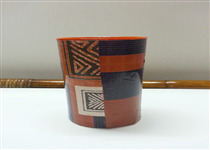 cotton and hand washable it adds an elegance to your table decor needs. 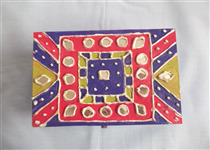 beautiful potli bags for your party accessorisation. 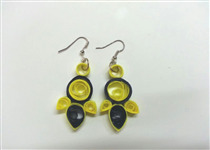 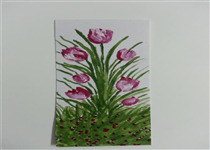 these are eco friendly and elegant and stand out in any party. 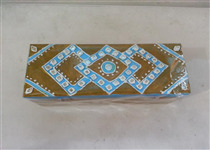 crystal work has been done on both sides. 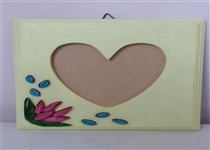 dimensions 10"x7"
a beautiful hand quilled greeting card made on handmade paper witha beautiful floral design. 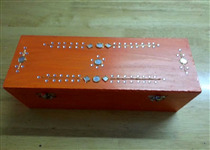 It is blank inside for you to fill up any message for any occassion. 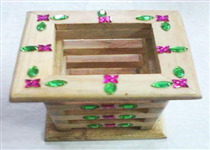 Eco friendly jute bags with beautiful crystal work . 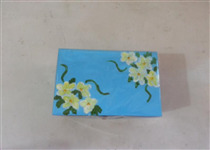 the bag can be used for all your carrying needs , for shopping , for caryying tiffin boxes to office. 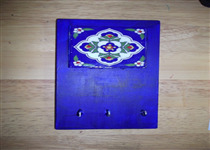 men and women can both use these.dimensions 15.5"x14"